Automate keyword and competitor research to extend your budget. 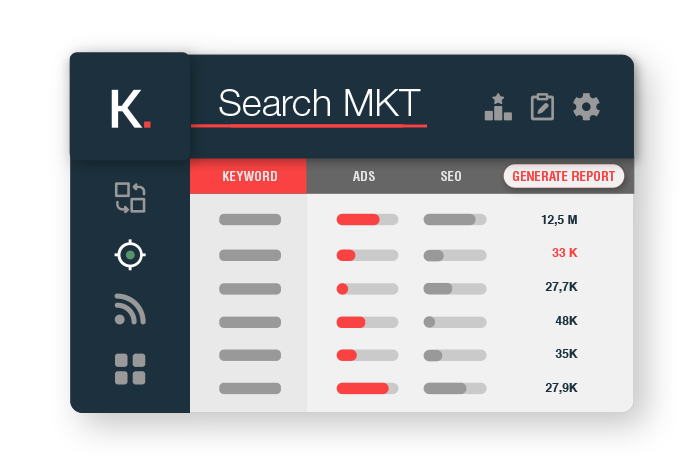 Be the first to bid on new keywords in your industry and target the long tail keywords your market is searching for. Learn which ad content converts best in your industry. Kompyte identifies your competition’s top performing ads; use their best ideas to boost your CTRs. 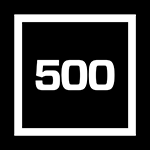 Identify the most successful SEO strategies in your space. Kompyte reveals your competitors’ SEO actions and performance. Replicate their success and boost your ranks. Discover new web-conversion techniques that succeed in your industry. Kompyte identifies what your competitors are testing on their landing pages. Save time and optimize your website faster. 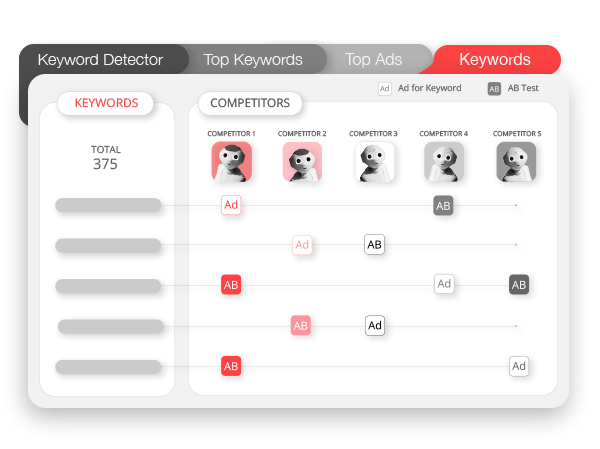 Kompyte’s Keyword Detector recommends new keywords and helps you discover the best search ad traffic generating keywords. Drive leads to your landing page. Kompyte shows you the highest converting Search Ad copywriting in your industry. Kompyte displays the competitors ranking highest for your keywords and shows you the website changes they implemented to move up the ranks. See what your competitors are testing to optimize conversion rates and use it to craft new headlines, content and layout changes to upgrade your landing pages. 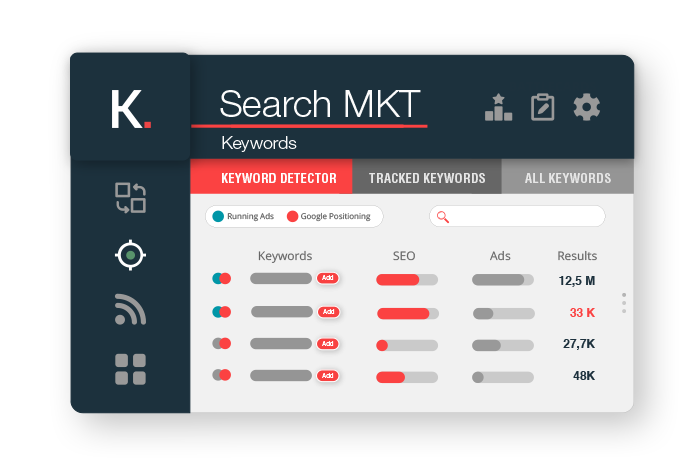 Kompyte identifies new competitors to track based on companies with similar SEO keywords or running AdWords campaigns with your keywords. 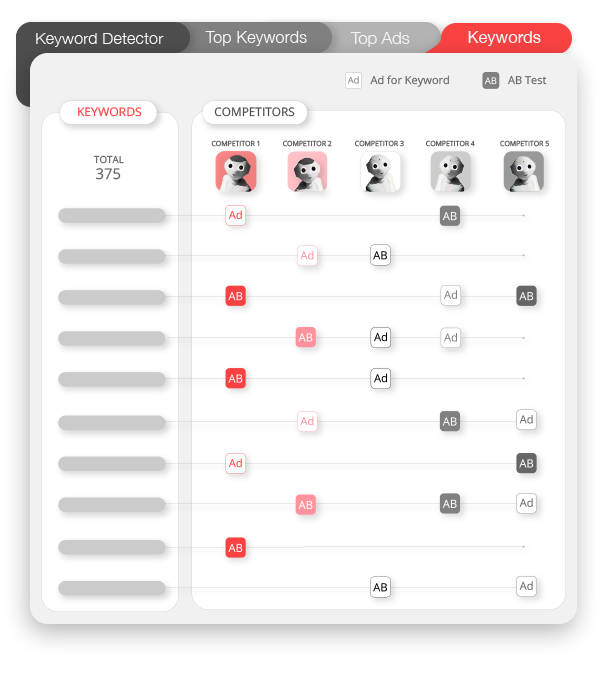 Kompyte’s Keyword Detector recommends the best performing keywords in your industry. Kompyte shows you the competition’s main SEO keywords and helps you and identify new keywords for your ad campaigns based off their PPC keywords. 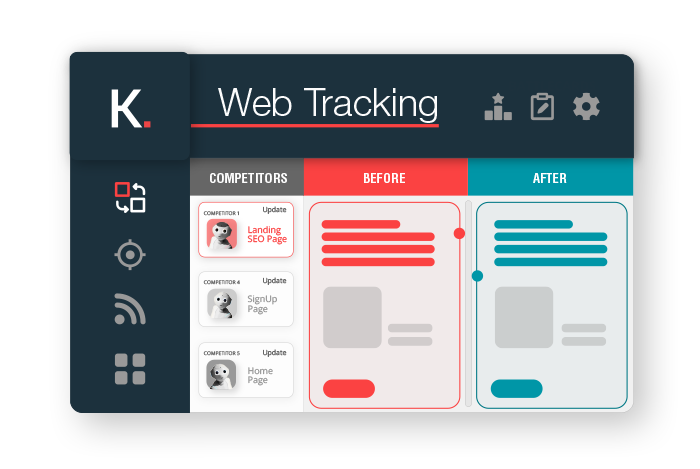 Kompyte tracks your competitors’ search ad campaigns in real-time and provides insight on their strategy. View the details of your competitors’ ad including how it appears in a search result and the keywords it shows up for. Based on your competitors’ experiments and behavior, Kompyte’s proprietary Ad Score shows you which of your competitor’s ads are consistently converting potential customers. Kompyte’s Organic Analysis lets you deep-dive into the competition’s SEO strategy and benchmark it against your own. 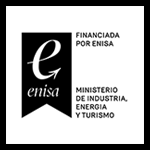 Measure the performance of various organic keyword and discover new high-opportunity keywords. 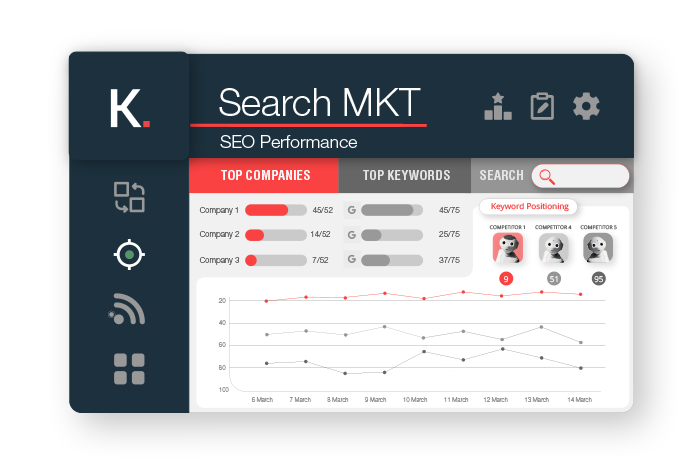 Get a complete search marketing benchmarking report in one-click. Kompyte’s interactive reporting feature includes the main search marketing KPIs. View your competitor’s Search Ad campaigns and evaluate the correlating Ad Score. Kompyte’s Timemachine helps you identify changes in headlines, content, links, structure and more. Compare previous versions of your competitors’ web pages​ to analyze how their actions impact SEO Ranks & Conversion Rates. Kompyte’s proprietary Ad Score shows you which of your competitor’s ads are consistently converting potential customers. Ad Score is based on your competitors’ experiments and behaviour, the higher the score the higher the ad quality. Take Your First Step to Outsmart the Competition.